Get your sweat on for free ~ nO GYM NECESSARY! L.A. is truly such an amazing city to be fit. Anybody that lives here or has visited knows that one of the best things about This City is great weather year-round, and now with the warmer months upon us, it’s even better! I’m an avid ClassPass user (lol I joined two months ago and I’m obsessed - review coming soon!) but this doesn’t stop me from wanting to ditch ClassPass a couple of times a week and benefit from great, free workouts the city of Los Angeles has to offer. I truly believe that working out outside is not only good to stay fit, but it’s also beneficial in other aspects of our lives such as an alternative to finding inexpensive ways of healthy living (mostly free, if you don’t count parking fees) plus it’s such an important way to stay grounded with nature and our surroundings. So, the following are the most popular (and, in my opinion, fun!) outdoor workouts to try. 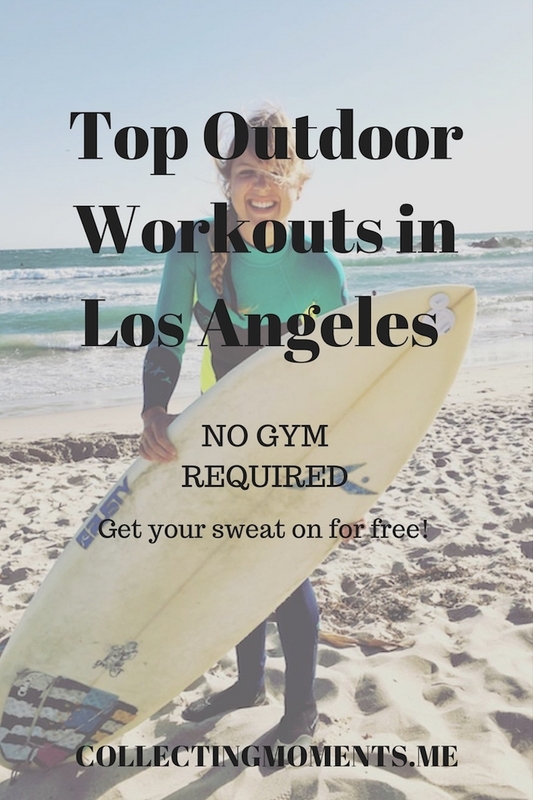 P.S - Even though this post is dedicated to outdoor activities in L.A., if you’re reading this and don’t live in the City of Angels, there’s always a way to connect with nature and still get your sweat on, so don’t forget that! Be creative and enjoy being able to find ways to enjoy the nice weather and feel good about making your body stronger! Favorite Outdoor Fitness Activities in L.A.
Runyon Canyon Trails Hike - I think this is one of the most instagramable hikes of L.A. and for a good reason- its prime location in West Hollywood offers easy accessibility + amazing views of the city. Another great feature? Super dog friendly! This hike is short and sweet and great for all levels as it has two major trails - one paved (easier) and one rugged (more challenging.) Either one will be a great workout + you might even spot a celebrity as they like to sweat it out at this popular hike! Marvin Braude Bike Trail - This is my favorite free outdoor activity on the list by far! Also known as The Strand, the paved bike path takes you all the way from Pacific Palisades to Torrance along the Pacific Ocean shoreline (a total of 23 miles!) Enjoy this workout by either biking, skating or walking/jogging. I recently spent my afternoon biking from Santa Monica to Manhattan Beach and back (25miles) and had a blast! My friend Laurianne and I stopped in Venice Beach, took photos along the way, refueled with yummy snacks and food in Manhattan Beach and finally headed back. Not only did we get a great workout out of it, but it was also cool, different activity for the day. 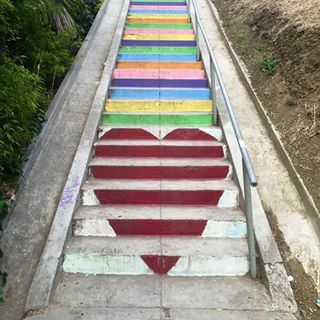 Baldwin Hills Scenic Overlook - Great stair workout!This time located in Culver City. Running up and down this short hike will definitely get your heart rate pumping + you’ll have great views of DTLA once at the top! The total distance of the “hike” or steps is a total of just over a mile round-trip and a great way to explore another cool part of L.A. + get your workout in. BONUS: Surf or paddleboard in Venice, Malibu or Marina Del Rey! Remember that even though Los Angeles is a great cosmopolitan city, it’s also a coastal city and you should enjoy the advantage and possibility of working out by the ocean! So, surf or paddleboard (or learn either) and sweat some calories in a fun way!